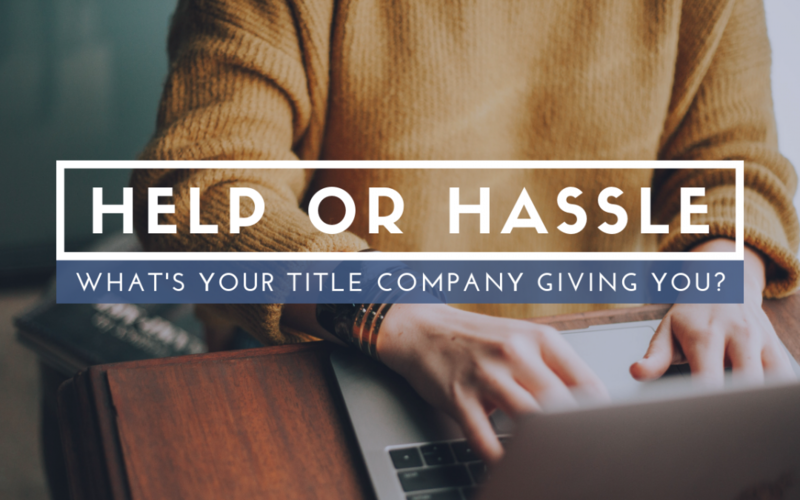 Help or Hassle: What’s Your Title Company Giving You? Has the title company sent a settlement statement? Has the title company consistently communicated with you? If your chosen title company hasn’t provided you with these basic considerations within a timely manner, you might want to reevaluate how reliable they really are. Do you feel confident that everything is being done correctly? Are you sure your closing will even take place? With Title Junction, you’ll never have to wonder about the status of your closing. We keep you informed every step of the way, from contract to closing table. Choose the title company that will give you the real estate / closing relationship you deserve. In case you missed it, check out our last Title Junction post: PMI? What’s That?